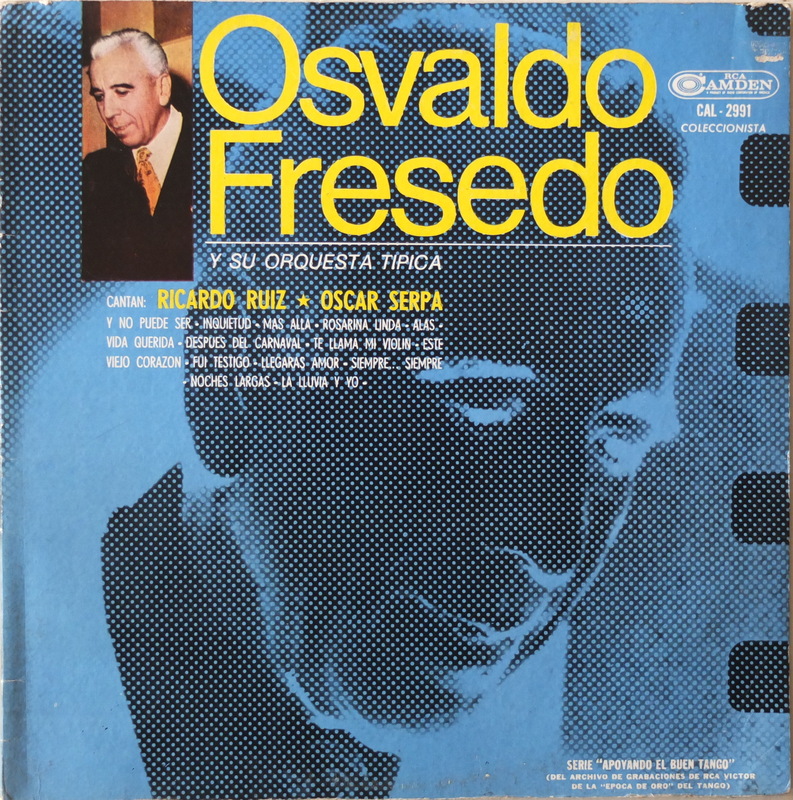 If you look at the Osvaldo Fresedo discography you can see that during his long career he quite often hopped between record labels: Brunswick, Odeón, RCA Víctor and later in the 1950s, Columbia and Arte. The biggest part of his catalogue is with Odeón and RCA Víctor and it seems that the instrumental recordings which interested me most are with RCA Víctor (today Sony-BMG) like Pimienta, Julián, El choclo, El irresistible, etc. To my knowledge Sony-BMG hasn’t reedited most of these tangos on CD. 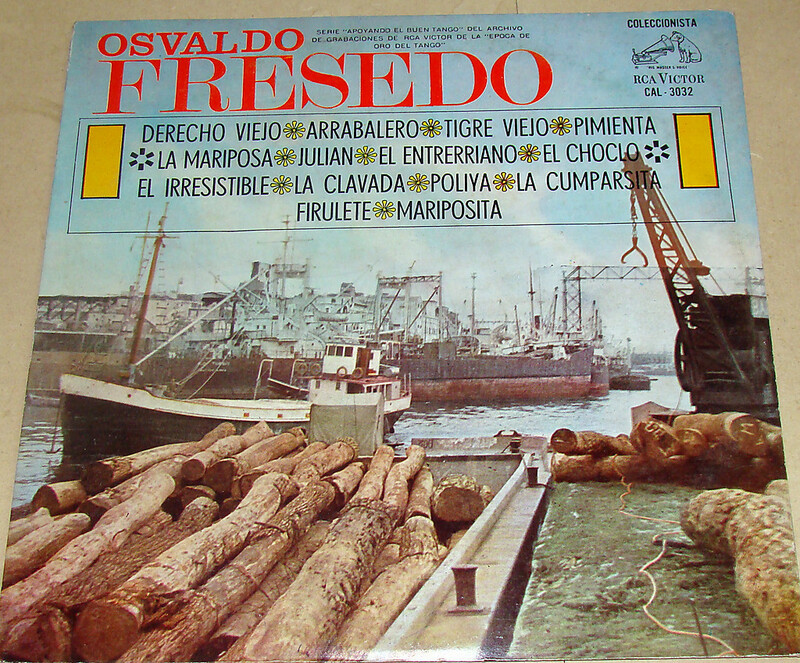 But they did in the 1970’s on their famous Camden vinyl series “Osvaldo Fresedo Coleccionista RCA Víctor CAL-3032” and “Osvaldo Fresedo Y Su Orquesta Típica Con Ricardo Ruiz Y Oscar Serpa CAL-2991”. This makes 28 recordings altogether, 14 instrumentals, for which I add here the front and back covers with tracklistings. 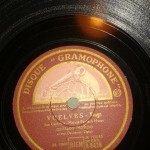 The subtitle of these LPs is “Serie Apoyando El Buen Tango” (Del archivo de grabaciones de RCA Víctor de la época de oro del tango), the aim has been to provide access to a selected 78 RPM catalogue on the newer record media as the record players evolved to pure microgroove devices with RIAA preamplification and weren’t able to read the old 78 RPMs anymore. A situation we know from today where nearly nobody is able to play vinyls anymore and most of the record players are gone, therefore there has been a need to convert the tango catalogue to audio CD or to digital formats which might in their right replace the audio CD in the near future. 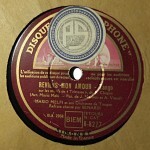 So these vinyls are actually reeditions of the original 78 RPM recordings. 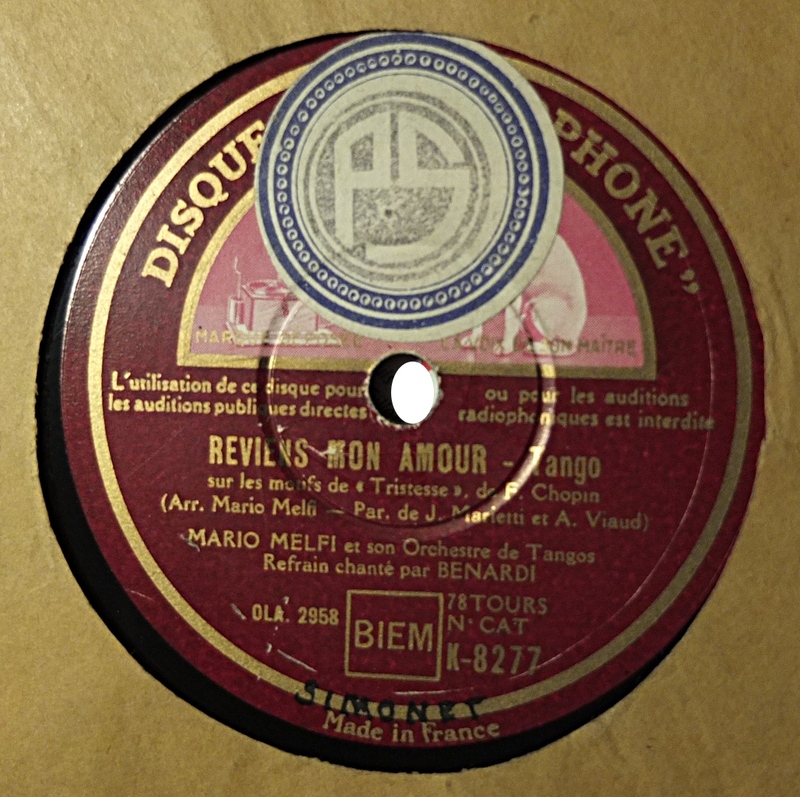 This shows that already back in the 1970’s there has been an interest to listen to tango recordings and that it’s not the CD and the recent tango renaissance which procured us with a direct link to the original recordings. These vinyl reeditions have often been done in perfect analogue quality and they have most certainly lead in one or the other case to the later CD editions. 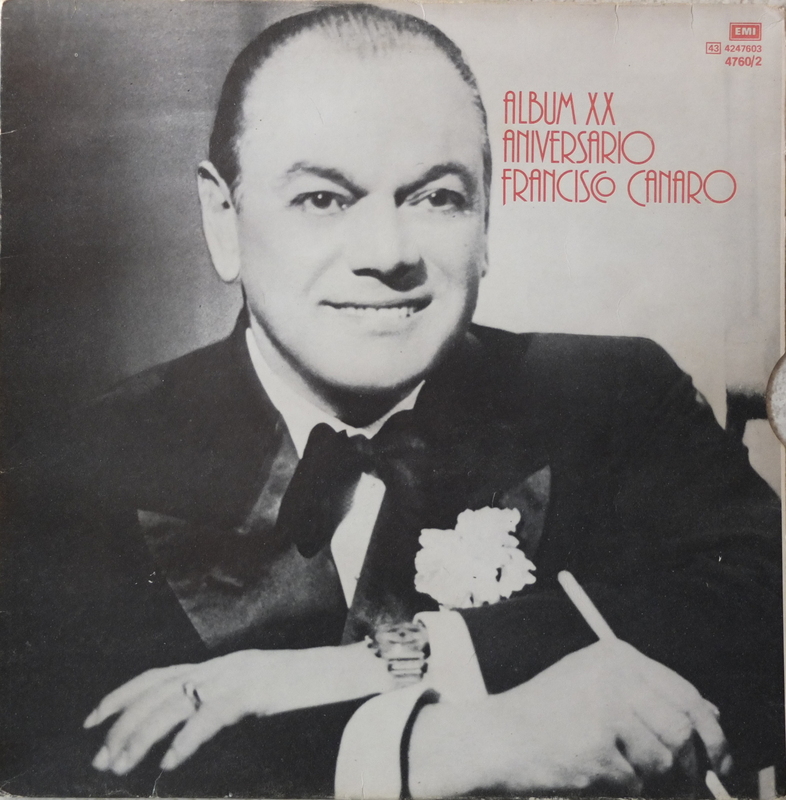 Some people claim that most of the important tangos are nowadays available on audio CD or in some ITunes shop and that those which are not, are either bad or without any importance. 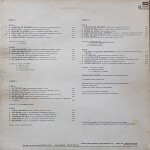 Like as if an invisible God of tango controlled which recordings should be available today on CD or in the digital form. That’s an opinion I hear quite often, in reality the edition problem is much more complicated. It is to a great extent due to the record companies. 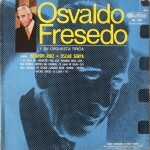 Some tango artists have recorded with just one record label, others switched quite often, like Fresedo. 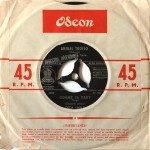 When they switched often, the record labels were unable to reissue the complete works because of copyright issues and unavailable masters in their archives. 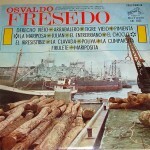 A well known case is certainly Aníbal Troilo who recorded his first two recordings with Odeón in 1938, and from 1941 onwards signed with RCA Víctor. 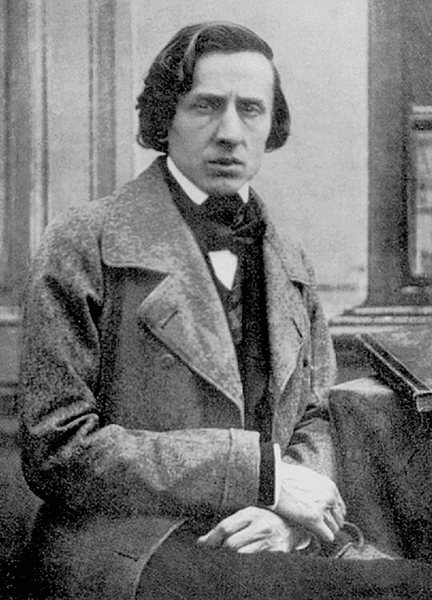 You will therefore not find Comme il faut and Tinta verde on the CD collection Troilo en RCA. 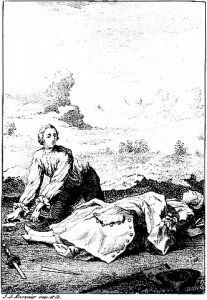 This is followed by the conservation problem. Some masters were destroyed by fire or had to make place for newer recordings after the época de oro and just went into the trash. Check Juan D’Arienzo’s discography concerning his 1930s and 1940s titles, a lot of his best recordings are just missing or are available in terribly bad quality! The same applies to Aníbal Troilo. 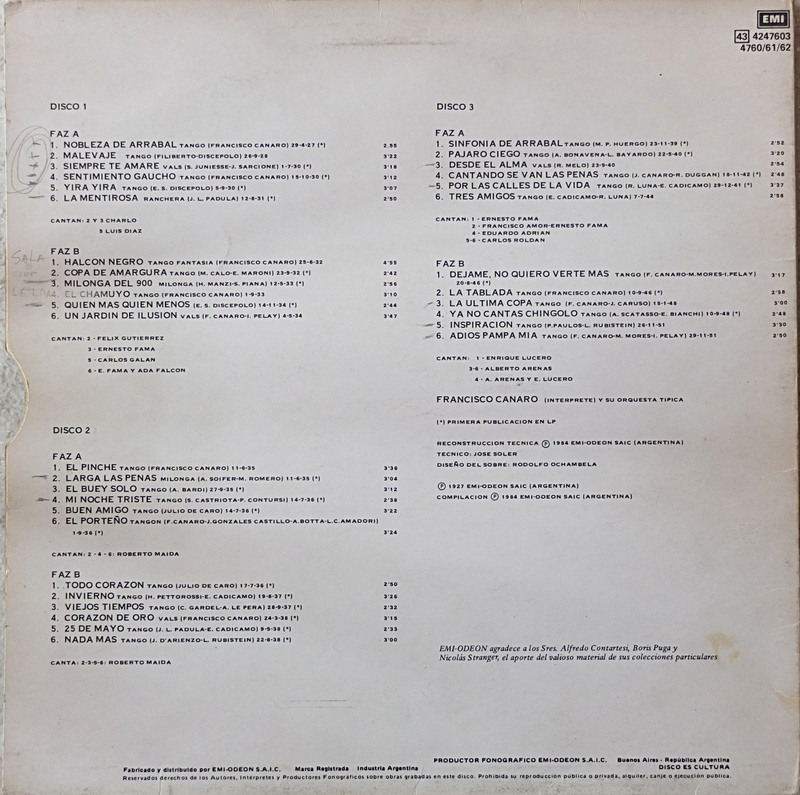 “EMI-ODEON agradece a los Sres, Alfredo Contartesi, Boris Puga y Nicolás Stranger, el aporte del valioso material de sus colecciones particulares” is written on the back cover of this album which leaves a doubt about the persistance of the master recordings of some of these tracks. This could also explain why there never has been an official reedition of Invierno on CD. 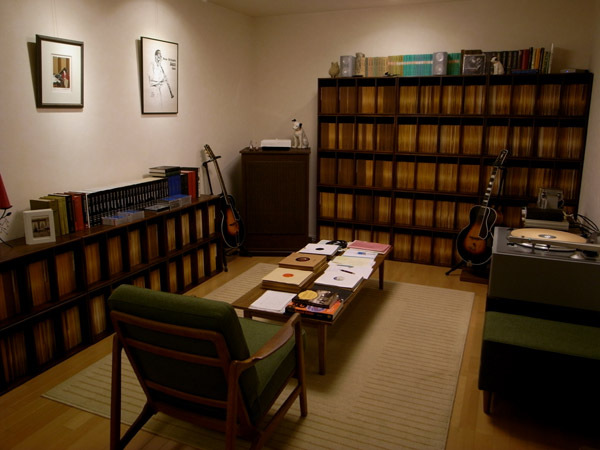 Being able to process not exclusively audio CD but other formats like LPs, MCs, tapes and 78 RPM records comes in handy and opens up a new world in terms of sound quality and available titles. 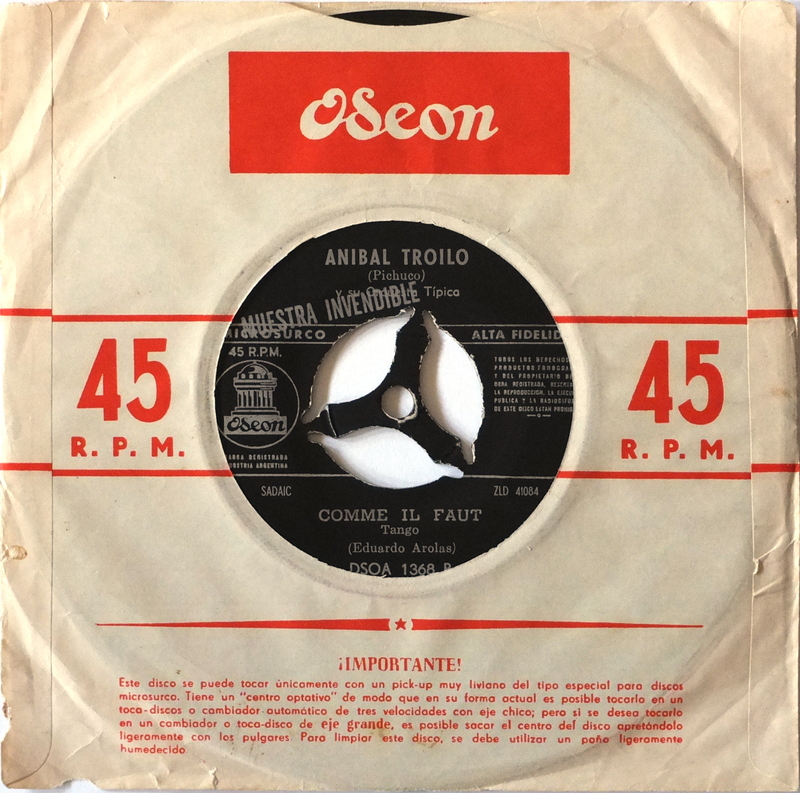 Most of the second grade labels, described by Johan in his Beginner’s guide to tango record labels as the other labels, often offer tracks in a very bad sound quality, using simply bad preamplification and are for these reasons quite often not playable at a milonga. 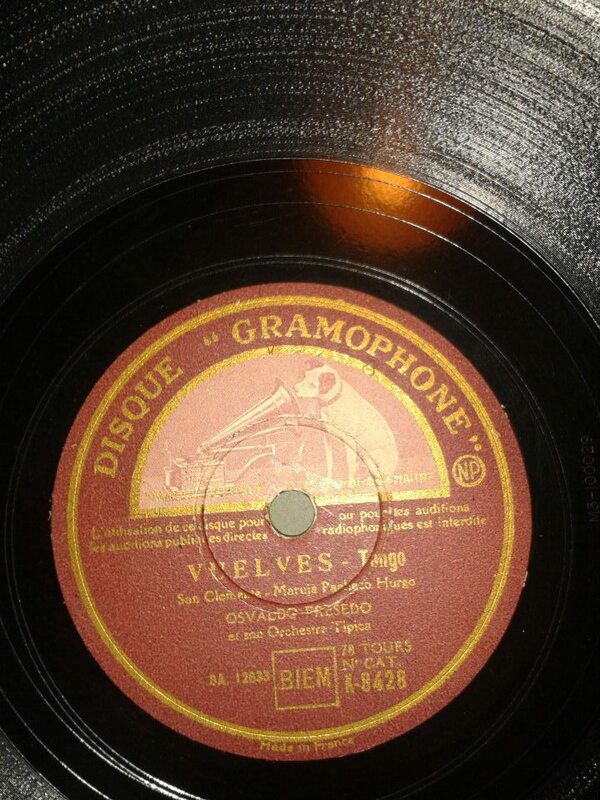 Once you collect 78 RPM records, you control all filtering, preamplification and very important too, the pitch. Some people say that the old tango recordings are in a poor quality and therefore a poor format like 100kbit MP3 will do largely. I say the monoroom holds sound recordings of an unbelievable beauty and quality and only the best proceedings with the least filtering will bring you close to your idols, where you have the impression that you can touch them! in 1 day and 16:57 hours. in 6 days and 17:57 hours. in 14 days and 19:57 hours.